It's inevitable. In fact, almost obligatory. Every industry goes through its ugly phase. Sometimes products are made simply because they can be, other times true utility leads the way. Good looks were an afterthought in the early days of mobile phones, for example, and users were still happy to be seen owning one. Big bulk supported the function as well as the desire for conspicuous consumption. Product announcements at CES 2015 show that the market for wearables is moving out of early adolescence and into early maturity. The enabling components are getting smaller, the consumers are getting more demanding and designers are getting hip to the trend. Wearables are moving past pure functionality and becoming a part of wardrobe. Makers of devices are working with design brands in realisation that, if the market is to move beyond enthusiastic early adopters, style matters. Other connected jewellery on display at CES 2015 includes devices from BlueJewelz, a Maryland-based company that merges necklaces with smart notifications. 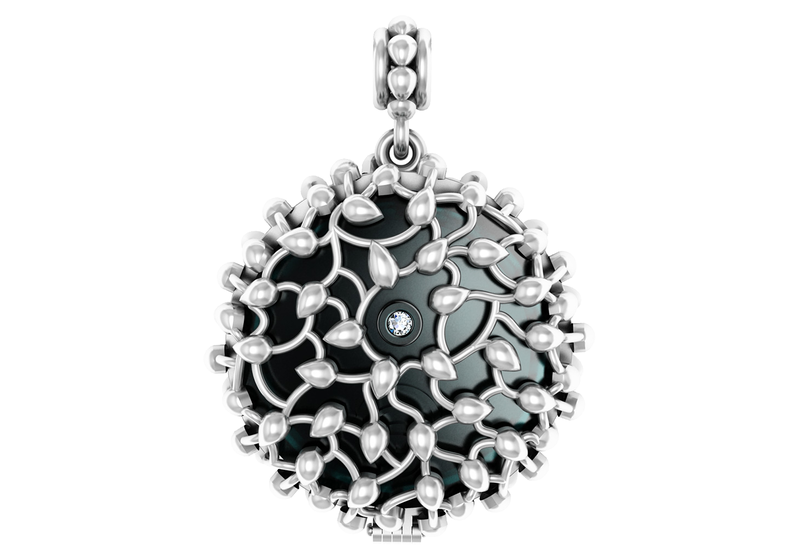 The devices take a similar modular approach to the Swarovski crystal, using what BlueJewelz calls a "Notif disc" which can be inserted to various neck-worn pendants. Using a dedicated app, the owner can customise notifications, including a geo-fencing feature for phones. BlueJewelz is about connection discretion for women. Smartwatches with style are another theme at the show. Guess has partnered with Martian Watches to develop the Guess Connect watch, an attractive device that's a designer watch before anything else. It works with iOS and Android apps to set up media streams to its subtle LED display, and is another signal that mid-tier watches will become connected devices supported by apps and low-power connectivity. Two years ago Microsoft introduced a "smartphone addicts" advertising campaign about "saving" smartphone users from their phones. Now it's looking possible that subtle smart devices like connected jewellery could be a step in that direction. Many products being showcased at this year's CES indicate that technology is becoming less obtrusive and more embedded to everyday fashion. For 2015, the wearables market is looking good.